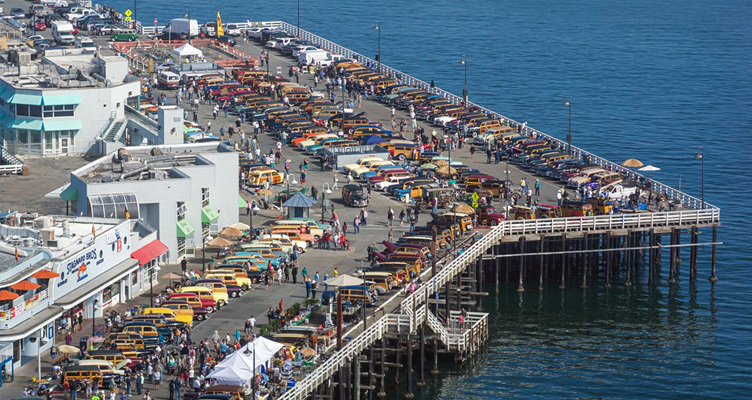 When it comes to having fun in Santa Cruz, it doesn’t take a pocket full of cash to have a great day that will be sure to be etched in your memories for a lifetime. Thanks to the Santa Cruz sun and a wide array of both outdoor and indoor venues, the local scene has a great variety of free things for people of all ages to enjoy day and night. Whether you enjoy attending special events or just relaxing in the wilderness, you are going to love all that Santa Cruz has to offer. This beautiful state park was once a dairy ranch and since its origin in the 1800’s, it has grown into a popular area for locals and visitors to have fun visiting farm animals, picnicking and walking along scenic nature trails. Hiking through the Santa Cruz Mountains or even along the coastline at the top of the bluffs can all be done from Wilder Ranch State Park. This state park allows bicycles, horseback riding and plenty of outdoor fun for all ages. It’s a great place to bring the family for a free day of fun. The Santa Cruz Wharf is the perfect place to go when you want to take in a close look at the area, do a little window shopping or even sit and watch boats go by on the water. You can walk or ride a bicycle or even cruise down the street in your car while taking in all the natural beauty surrounding the wharf. While walking, riding or biking is completely free and always fun to do, you may want to take along a little cash when venturing down the road in this area as there are quite a few excellent local café’s, boutiques and small shops and even a few popular lounges right on the water. You can also rent boats or kayaks, spend time on the water watching for whales and much more. A popular mile long stretch of beautiful shoreline where families spend hours at a time splashing in the water, soaking up a little sun and taking time to enjoy lazy days together. 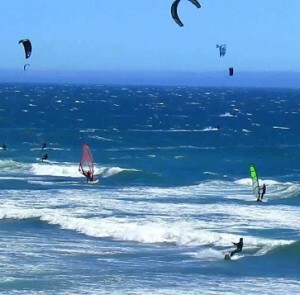 If you enjoy windsurfing or flying kites, Waddell State Beach is the place for you. This is also the perfect location for surfers, boogie boarders and sunbathers that like to watch the action on the water from their comfy seats on the soft sand. For a little adventure, the beach is situated just across the street from Big Basin Redwoods State Park where you can enjoy long hikes into the woods or even spend a few nights camping out under the beautiful California star filled sky. The locals usually refer to this beach as Waddell Creek Beach and it is always a fun place to be. Best of all, the beach is free every day of the year. This is a must-see attraction and one that is suitable for the whole family. The Santa Cruz Surfing Museum is free to enter but they do ask for a small donation to help them keep the lights on in the lighthouse and to keep the heat on when it’s a little chilly out. The museum has some great pictures of surfers and events held on the water in Santa Cruz for the last 100 years and if you bring a little cash with you, you may just find the perfect surfing souvenir to take home with you when you leave. The museum has been open for more than 30 years and has been a popular place for tourists to visit when in the area. One of the best things about Santa Cruz is that there are numerous places that a person, or family, can head to for some great outdoor fun and adventure without needing to spend a lot of money at all. Free is always nice, especially when you may be on a budget and need to find fun ways to keep yourself or others entertained. There are always areas where you can spend time walking down the shoreline, taking a quick dip in the ocean, working out for free without paying a personal trainer, or hopping on your board and surfing for a while. There are also free tours at Wetlands of Watsonville where you can spend hours birdwatching or taking short nature hikes along the scenic trails. One of the most popular locations is the Santa Cruz Beach Boardwalk. The boardwalk is always free to enter and walk through and features carnival rides, concerts and plenty of food and beverage spots to grab a bite to eat or quench your thirst after a long day in the sun. During the summer, you can even catch a free classic movie right on the beach and best of all, most activities are completely free for all ages. Santa Cruz features nearly 30 miles of beautiful shoreline with some of the best waters for surfing in the entire state. No matter where you go in Santa Cruz, you can rest assured that the area will be beautiful and the people you meet will be friendly.